3) Coca and cocaine-trafficking even though FARC officials claim the movement only taxes traffickers who come and buy coca-paste from the farmers. 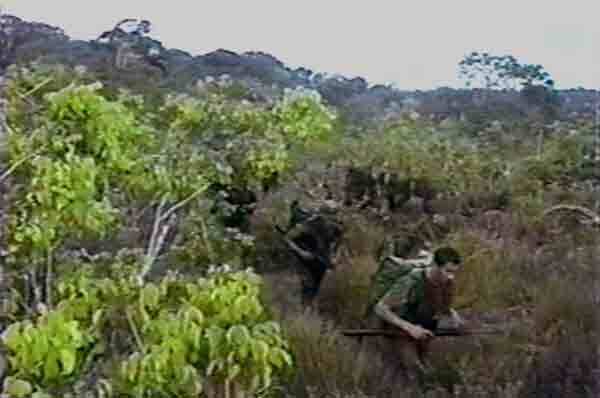 Involved in a peace-process with the Colombian government until February 2002 when President Andres Pastrana abruptly invaded the peace-zone he had given them, the extremely well-armed and equipped FARC have now intensified their war against the Colombian armed forces despite the U.S. military assistance. Both sides of the conflict agree that there is no end in sight as the FARC are not strong enough to capture major cities and neither the Colombian military nor the irregular paramilitary groups are strong enough to regain the countryside controlled by the guerrillas.